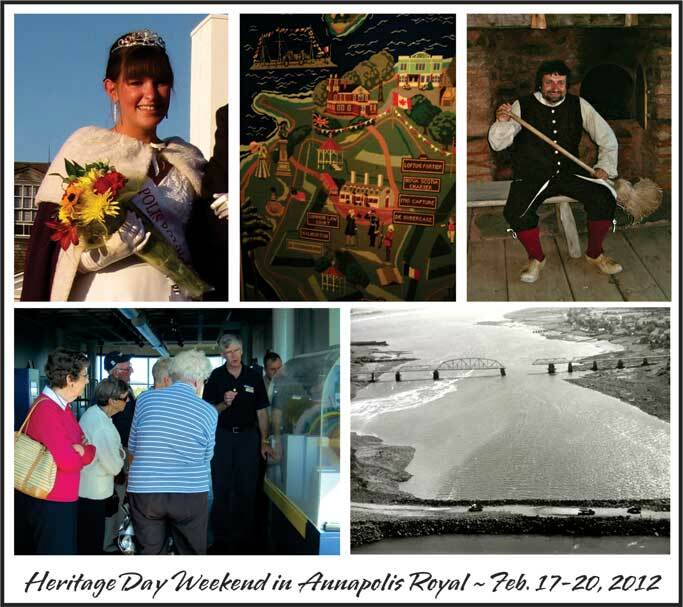 The Historical Association of Annapolis Royal, Parks Canada, Annapolis Heritage Society, Historic Gardens, CARP, Nova Scotia Power and the Town of Annapolis Royal and Friends are working together to celebrate Heritage Day Weekend 2012, February 17 – 20. This year’s theme is “The Heritage of Power Generation”, and a series of special events and activities are planned which celebrate the past and highlight current and future sources of green energy. Join noted author, Joyce Grant-Smith, for A Different Kind of Energy program entitled “The Triumphs and Trials of Writing for Children” at the Annapolis Royal Library at 2:30 pm. The Library is located behind Town Hall. To learn more, call 532-2226. Enjoy an Open House featuring Energy Efficiency in a Heritage Setting presented by Clean Annapolis River (CARP) at the Train Station in Annapolis Royal. There will be energy efficient light bulbs (CFLs) and other energy saving products to give away. CARP staff will also be on hand to greet guests and discuss energy saving techniques. For more info contact 532-7533. Join Les Smith at 2 pm in the Lower Hall of St. George and St. Andrews United Church in Annapolis Royal for a unique opportunity to learn about the science, technology and Energy of North America’s Only Tidal Power Plant. For info call 532-7754. Hope to see Y-O-U at some of the events! This entry was posted in Explore Annapolis Royal, Gardens, Heritage, Recreation and tagged A Seafaring Maiden, Acadian, Alan Melanson, Annapolis Heritage Society, Annapolis Royal Nova Scotia, CARP, Durline Melanson, Explore Annapolis Royal, Fort Anne, Historical Association of Annapolis Royal, O'Dell House Museum, Queen Annapolis Royal. Bookmark the permalink.